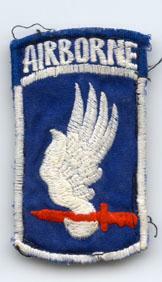 First airborne organization to be activated under the United States Army's new ROAD (Reorganization Objective Army Division) concept came into being on Okinawa in June 1963 when the 173rd Airborne Brigade was formed from elements of the 2nd Airborne Battle Group, 503rd Infantry, immediately upon the battle group's return from participation in Exercise "DHANARAJATA", the SEATO maneuver in Thailand, June 25, 1963 the 2nd Airborne Battle Group, 503rd Infantry, was inactivated. It had been on Okinawa three years following its designation in March, 1960 as the 2nd Airborne Battle Group, 503rd Infantry Combat team and its subsequent departure from the 82nd Airborne Division, Fort Bragg, North Carolina. Officers and troopers became part of the newly organized 173rd Airborne Brigade. Initial reorganization began in March, 1963, when Headquarters Company of the new brigade was formed. 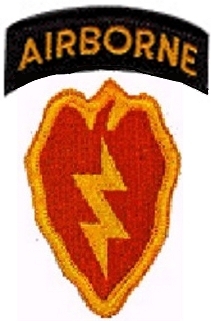 This site is in no away affiliated with the 173d Airborne Bde in Vicenza, Italy or the the 173d Airborne Bde Assn. It is however just what it says...dedicated to all Sky Soldiers Past and Present by; Honoring the past, Supporting the present and Encouraging the future. All are welcome to drop in ! !